CHIUSURA UFFICIO TECNICO NEI POMERIGGI DI MARTEDI’ E GIOVEDI’ DAL 26 FEBBRAIO 2015 AL 28 MAGGIO 2015. 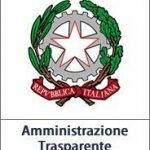 Previous Post:AVVISO DI GARA PER AFFIDAMENTO PRIMA ACCOGLIENZA A CITTADINI STRANIERI. Next Post:RACCOLTA FIRME PER REFERENDUM DI INIZIATIVA POPOLARE IN MATERIA DI APPALTI PUBBLICI E PRIVATI.